Launch from Cape Canaveral (KSC); landing on the Edwards AFB, Runway 22. 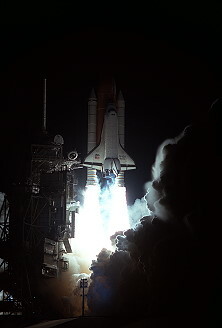 The first launch attempt was set for March 21, 1996 und scrubbed prior to commencement of tanking operations March 20, 1996, due to concerns about high winds. The launch was reset for March 22, 1996 proceeded smoothly to on-time liftoff. During the ascent, a leak occurred in hydraulic system powered by Auxiliary Power Unit (APU) number 3. The leak stopped after the hydraulic system was shutdown on-orbit. Mission managers concluded that the system would remain stable and proceeded with plans for full-duration mission. 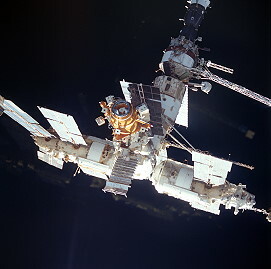 The flight was the third Shuttle mission to dock with the Russian Space Station Mir, as part of the Shuttle-Mir Program, carrying astronaut Shannon Lucid to the orbital laboratory. 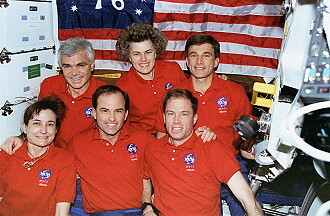 She remained aboard the orbiting station and joined as Research Cosmonaut the 21st Mir resident crew crew until Atlantis again docks to Mir in early September 1996 (STS-79). On the sixth day of the mission, Linda Godwin and Michael Clifford performed a six-hour spacewalk while Atlantis was docked to the Mir. 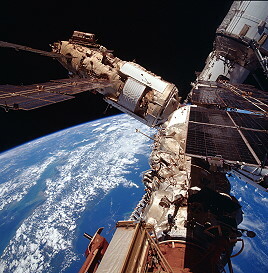 They attached four experiments individually onto handrails located on the Mir Docking Modules. 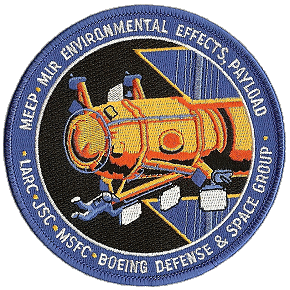 The experiments, collectively referred to as the Mir Environmental Effects Payload (MEEP), were designed to help characterize the space environment at a 51.6 degree inclination, the same inclination at which the International Space Station will be built. STS-76's rendezvous and docking with the Russian Space Station Mir began with the precisely timed launch of Atlantis on a course for the station. Over the next two flight days, periodic small engine firings gradually brought Atlantis to a point eight nautical miles (14.8 km) behind Mir on docking day, the starting point for a final approach to the station. About two hours before the scheduled docking time on March 24, 1996, Atlantis reached a point about eight nautical miles (14.8 km) behind the Mir space station and fired a Terminal Phase Initiation (TI) burn, beginning the final phase of the rendezvous. Atlantis closed the final eight nautical miles (14.8 km) to Mir during the next orbit. As Atlantis closed in, the Shuttle's rendezvous radar system began tracking Mir and providing range and closing rate information to Atlantis. 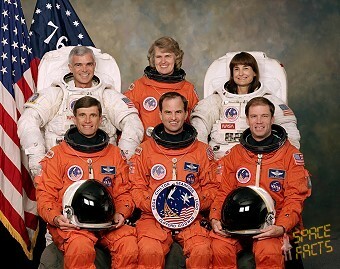 Atlantis' crew also began air-to-air communications with the Mir crew. As Atlantis closed in on the Mir, the Shuttle had the opportunity for four small successive engine firings to fine-tune its approach using its onboard navigation information. Identical to the two prior Mir dockings, Atlantis aimed for a point directly below Mir, along the Earth radius vector (R-Bar), an imaginary line drawn between Mir's center of gravity and the center of Earth. 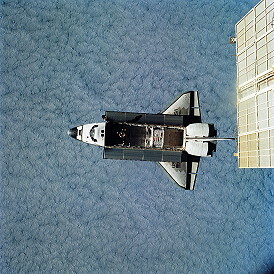 Approaching along the R-Bar, from directly underneath the Mir, allowed natural forces to brake Atlantis' approach more so than would occur along a standard Shuttle approach from directly in front of Mir. 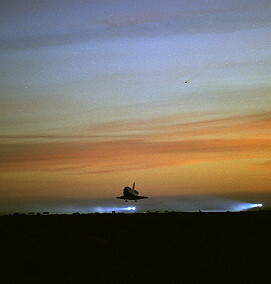 During this approach, the crew also used a handheld laser ranging device to supplement distance and closing rate measurements made by Shuttle navigational equipment. The manual phase of the rendezvous began just as Atlantis reached a point about a half-mile (900 meters) below Mir. Commander Kevin Chilton flew the Shuttle using the aft flight deck controls as Atlantis began moving up toward Mir. 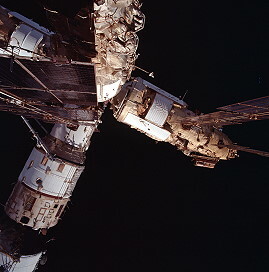 During the approach up the R-Bar, Kevin Chilton performed a 180 degree yaw rotation to align the Shuttle with the Mir station. Because of the approach along the R-Bar, from underneath Mir, Kevin Chilton had to perform very few braking firings. 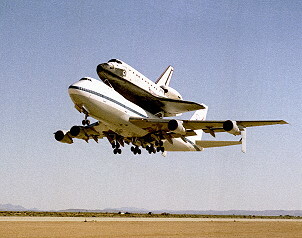 However, if such firings were required, the Shuttle's jets were used in a mode called "Low-Z", a technique that uses slightly offset jets on Atlantis' nose and tail to slow the spacecraft rather than firing jets pointed directly at Mir. This technique avoids contamination of the space station and its solar arrays by exhaust from the Shuttle steering jets. 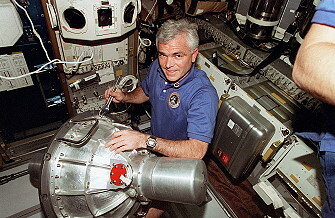 Using the centerline camera fixed in the center of the Atlantis' docking mechanism, Kevin Chilton centered Atlantis' mechanism with the docking module mechanism on Mir, continually refining this alignment as he approached within 300 feet (91.4 meters) of the station. At a distance of about 30 feet (9.14 meters) from docking, Kevin Chilton holds stationkeping momentarily to adjust the docking mechanism alignment, if necessary. 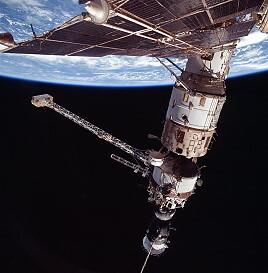 The crew used ship-to-ship communications with Mir to inform the two cosmonauts of the shuttle's status and to keep them informed of major events, including confirmation of contact, capture and the conclusion of damping. 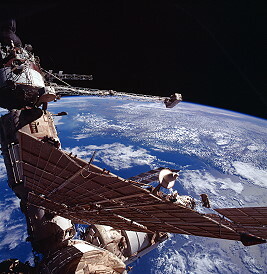 Damping, the halt of any relative motion between the two spacecraft after docking, was performed by shock absorber-type springs within the docking device. After the hatches were opened and a welcome ceremony Lucid Lucid became member of the 21st resident crew onboard the Mir (as Research Cosmonaut). During the common flight of STS-76 and Mir Linda Godwin and Michael Clifford performed an EVA on March 27, 1996 (6h 02m) to attach the Mir Environmental Effects Payload (MEEP), including 4 different experiments, onto handrails located on the Mir Docking Module. 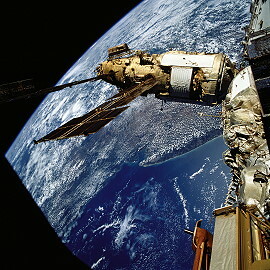 The spacewalk was the first ever performed from the docked Space Shuttle and Mir complex. The Simplified Aid For EVA Rescue (SAFER), first test-flown on shuttle mission STS-64 in September 1994, were worn by Linda Godwin and Michael Clifford and were used only for a contingency. 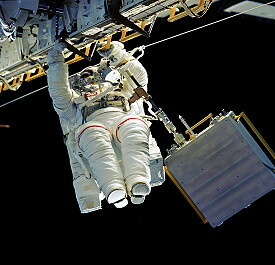 Spacewalking equipment to be evaluated consisted of several new tether designs with hooks that can be attached to both space shuttle handrails and to Mir space station handrails. Normal space shuttle tether hooks are not large enough to be connected to the Mir handrails. 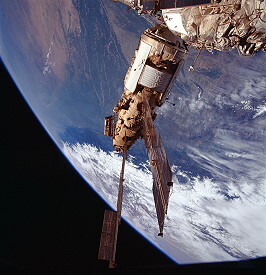 A U.S. camera mounted on the exterior of the Mir docking module, used during STS-74 to align the module as it was permanently docked to the Mir, also were removed by the spacewalkers and returned to Earth for reuse. 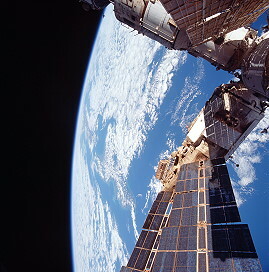 Prior to beginning the spacewalk, the hatches of both Atlantis and the Mir were closed at the docking mechanism. A hatch at the end of the shuttle tunnel adapter also was closed, allowing only the airlock and tunnel to be depressurized. All of the shuttle crew members were in Atlantis' crew cabin for the duration of the spacewalk, and all Mir crew members, including Mir-21 crewmember Shannon Lucid, were aboard the Mir. Linda Godwin and Michael Clifford removed the four MEEP experiment containers from their stowed positions along the right and left sides of Atlantis' cargo bay. 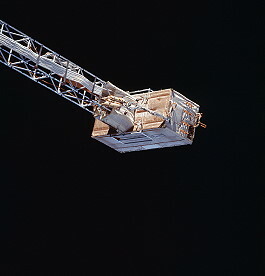 Each experiment container was attached to handrails on the exterior of the docking module using special clamps installed by Linda Godwin and Michael Clifford. After each experiment package was clamped to the appropriate module handrails, the spacewalkers unfolded the packages to expose the experiment panels. The tools evaluated were called Common US/Russian EVA tools and included safety tethers with larger hooks to allow attachment to the Mir's exterior handrails and a new foot restraint also designed to allow attachment to the Mir fixtures. 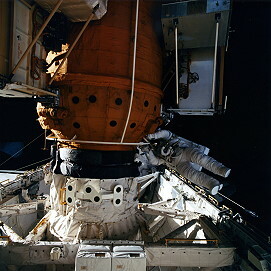 To remove the Docking Module television camera, the spacewalkers used cable cutters to sever the cable connecting the camera and then turned a knob that released the camera's mounting. 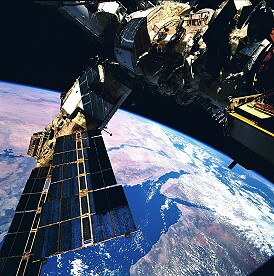 The camera was tethered and taken aboard Atlantis. During five days of docked operations, about 1,500 pounds (680 kilograms) of water and two tons of scientific equipment, logistical material and resupply items transferred to Mir; experiment samples and miscellaneous equipment brought over to orbiter. In Biorack, 11 separate scientific investigations were conducted. Study topics included effect of microgravity and cosmic radiation on plants, tissues, cells, bacteria and insects and effects of microgravity on bone loss. Also transferred to station were Mir Glovebox Stowage (MGBX) equipment to replenish glovebox already on station; Queens University Experiment in Liquid Diffusion (QUELD) flown in orbiter middeck locker; and High Temperature Liquid Phase Sintering (LPS) experiment. Payload bay configuration included Orbiter Docking System in forward area and SPACEHAB single module toward the aft. STS-76 began a series of Shuttle-Mir missions that carried a SPACEHAB module onboard. Over the course of these missions, SPACEHAB modules carried a mix of supplies and scientific equipment to and from Mir. On STS-76, the SPACEHAB module was in a single module configuration, similar to previous SPACEHAB missions. In addition to the Spacelab short tunnel and airlock which have flown on SPACEHAB single module missions before, there was an extended tunnel beyond the airlock and a 19- inch tunnel extension built by SPACEHAB, Inc. to position the SPACEHAB module in the optimal point in the Shuttle's cargo bay. Because the single module was positioned further aft than on previous missions, the module will be able to carry up to 4,800 pounds (2,177 kg) of useable payload up to and back from Mir. Russian Logistics: A double rack was dedicated to some of the Russian logistics, including the gyrodyne and the individual equipment and seat liner (IESL) kit. 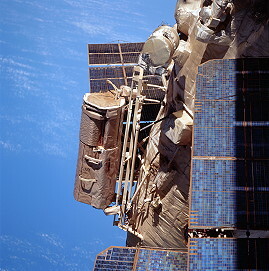 The gyrodyne was transferred by the crew to and from Mir to replace a used gyrodyne. The IESL kit was transferred by the crew to Mir to be available for use by Shannon Lucid in case of an emergency return to Earth in a Soyuz capsule. Three Russian storage batteries which were returned to Earth from Mir on STS-71 were mounted on the aft bulkhead of the SPACEHAB module. 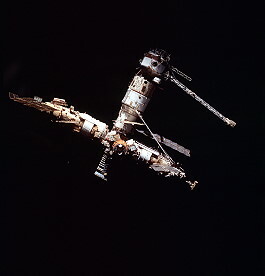 During docked operations, the crew removed the batteries and transferred them to Mir. Numerous Russian logistics items totaling approximately 1,900 lbs. (861 kg) were carried in the SPACEHAB soft stowage system. Items included food and water containers, clothing and sleeping articles, personal hygiene equipment, a current transformer, and a Mir supplemental kit. These items were transferred to Mir by the crew. EVA Tools: Several soft bags were used to carry EVA support equipment. The equipment included Waist Tethers, Push Lock Tether Tools and a 35 mm Camera and Accessories (Tools for 96 Bolts). Other Detailed Science Objectives (DSOs) also were supported by the EVA equipment. ISS Risk Mitigation Experiments (RME): The Risk Mitigation Experiments hardware was carried in soft stowage bags and consisted of the following items: Mir Electric Field Characterization (MEFC) hardware, and the Mir Environmental Effects Payload (MEEP) attachment brackets. The MEFC experiment will collect data on the internal and external radio interference in the 400 MHz to 18 GHz frequency band. The hardware consisted of a radio frequency spectrum analyzer and power cable, an orbiter window antenna, and a payload general support computer. The experiment hardware was removed from the SPACEHAB module. Experiment operations were performed on the shuttle's flight deck then returned to the module for return to Earth. 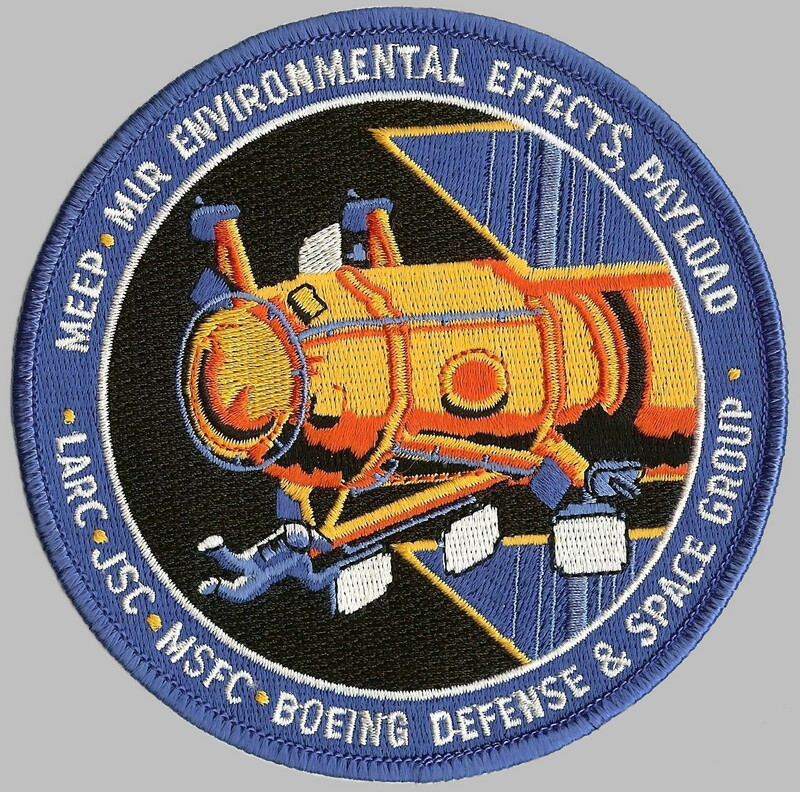 The MEEP experiment was designed to collect samples of orbital and micrometeoroid debris and will be attached to Mir during an EVA by the crew. The MEEP attachment brackets will be clamped to external handrails on Mir and will remain there after their installation during the mission. 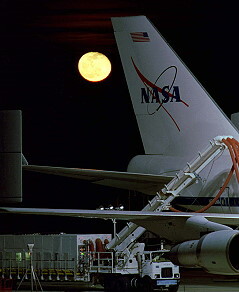 American Logistics: About 15 full water bags supplied through the shuttle's water system were transferred to Mir. New film also was swapped for film already shot aboard Mir, and the docking module light and television camera was returned to Earth. Biorack: The European Space Agency's Biorack experiment shared a double rack with the Life Sciences Laboratory Equipment Refrigerator/Freezer (LSLE) in the SPACEHAB module. The Biorack was a multi-purpose facility designed to enable biological investigations on plants, tissues, cells, bacteria, and insects during spaceflight. Its main purpose was to investigate the effects of microgravity and cosmic radiation, particularly the effects of high-energy (HZE) particles, on the development of these species. Eleven experiments were conducted during the mission: three from the U.S., three from France, three from Germany, one from Switzerland and one from the Netherlands. 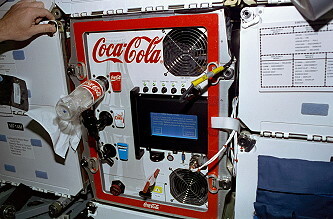 The Life Sciences Laboratory Equipment Refrigerator/Freezer (LSLE R/F) was a vapor compression refrigerator which was carried in a double rack (with the Biorack) in the SPACEHAB module. 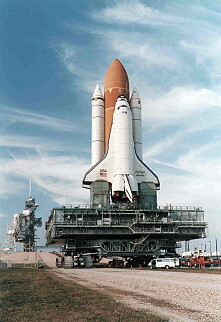 The LSLE R/F has flown five times on board the Shuttle. 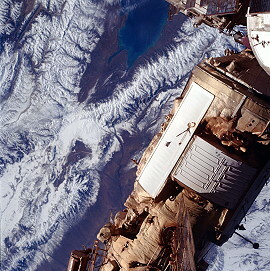 Its internal volume was 2.5 ft 3 in., (0.8 meter) and could accept a variety of racks, shelves and containers, and maintains internal temperatures ranging from +10 degrees C to -22 degrees C. On STS-76, the LSLE R/F carried processed samples from the Biorack as well as the Johnson Space Center Frozen Stowage experiment which included blood, urine and saliva samples from the Mir-21 crew. These samples were analyzed on Earth for evidence of accelerated renal stone development and protein metabolism in microgravity. The Mir Glovebox Stowage (MGBX) was carried in soft stowage bags to replenish hardware for the MGBX located on Mir. Equipment included in the MGBX includes the Combustion Experiments Parts Box to be used with the candle flames in microgravity experiment and the Forced Flow Flamespread Test, the Passive Accelerometer, the Protein Crystal Growth Experiment, and the Protein Crystal Growth Thermal Enclosure System Ancillary. KidSat was a three-year pilot project that flew on the shuttle once a year. This was the project's first flight. KidSat seek to give middle school students the opportunity to participate in space exploration. KidSat enabled students to configure their own payload of digital video and a camera for flight on the Shuttle, command the camera from their classrooms, and download their images of Earth in near real-time. Images were used as the basis for a variety of classroom discoveries, including history, geography, geology, physics, oceanography, mathematics and current events, and as a means of exploring their own planet using NASA data. 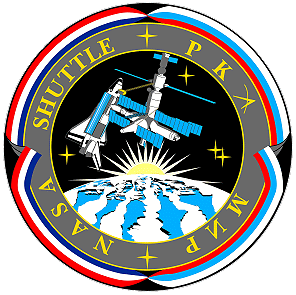 As part of the Shuttle Amateur Radio Experiment (SAREX) students in the United States and other countries had a chance to speak via amateur radio with astronauts aboard the Space Shuttle Endeavour during STS-76. Ground-based amateur radio operators ("hams") were able to contact the Shuttle through automated computer-to-computer amateur (packet) radio links. There also were voice contacts with the general ham community as time permitted. Shuttle Pilot Richard Searfoss (call sign KC5CKM) and mission specialists Linda Godwin (N5RAX), Ronald Sega (KC5ETH) and Shannon Lucid as well as Commander Kevin Chilton talked with students in five U.S. schools using ham radio. 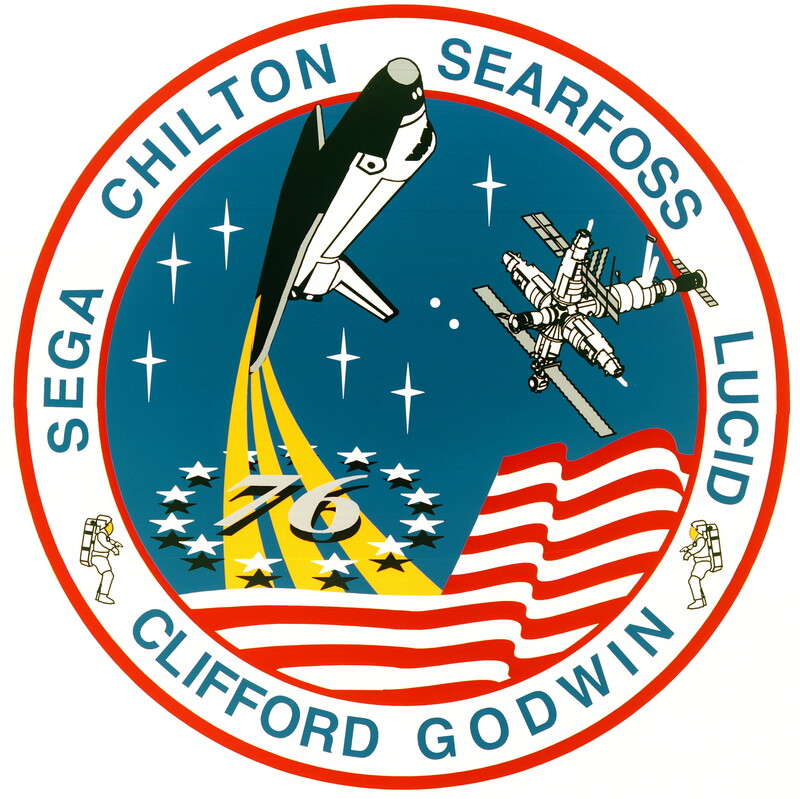 The Naval Research Laboratory's (NRL's) Trapped Ions in Space (TRIS) experiment flew as a Get Away Special payload on STS-76. TRIS measured a recently-discovered belt of energetic cosmic ray nuclei trapped in Earth's magnetic field to quantify radiation hazards in space and lead to a better theoretical understanding of how these cosmic ray nuclei have become trapped in the Earth's magnetic field. So-called "anomalous cosmic rays", which originate in the nearby interstellar medium, form the radiation belt which TRIS were observed. These trapped anomalous cosmic rays, say the researchers, have sufficient energy to pose a potential radiation hazard to some lightly shielded electronic systems planned for the International Space Station and perhaps to astronauts during spacewalks in certain parts of the orbit. Once Atlantis was ready to undock from Mir, the initial separation was performed by springs that gently pushed the shuttle away from the docking module. Both the Mir and Atlantis were in a mode called "free drift" during the undocking, a mode that had the steering jets of each spacecraft shut off to avoid any inadvertent firings. 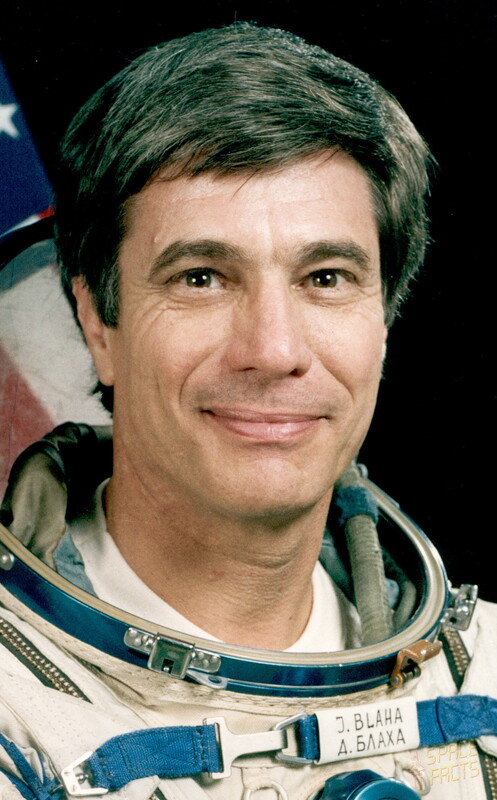 Once the docking mechanism's springs had pushed Atlantis away to a distance of about two feet (61 centimeters) from Mir, Kevin Chilton turned Atlantis' steering jets back on when the docking devices were clear of one another and fired the shuttle's jets in the Low-Z mode to begin very slowly moving away from Mir. Atlantis continued away from Mir to a distance of about 600 feet (182.8 meters) , where Richard Searfoss began a flyaround of the station. At that distance, Atlantis circled Mir twice before firing its jets again to depart the vicinity of the station. Mission managers re-scheduled the landing from March 31, 1996 to March 30, 1996 in anticipation of rain and clouds at KSC landing site, but the landing attempts at KSC on March 30, 1996 and March 31, 1996 were waved off due to weather before orbiter finally diverted to California. More conservative weather criteria was employed for landing due to leak in APU number 3 hydraulic system and special measures taken during re-entry to minimize use of this particular APU. Following the waveoff on March 30, 1996, the payload bay door reopening process interrupted when release indicators for payload bay door centerline latches 9 through 12 on both sides failed to indicate release, suggesting latches had not operated properly. The astronauts ventured into SPACEHAB module in aft payload bay to visually inspect the latches, which appeared to have opened as intended. The crew used a manual mode to complete opening of doors without further incident, and the glitch attributed to microswitches. Also, during prelanding preparations, three of 38 Reaction Control System (RCS) thrusters failed, but backup thrusters were available to perform the same functions. 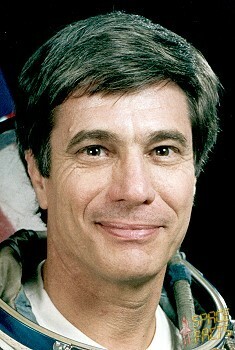 Shannon Lucid landed on September 26, 1996 at 12:13:12.993 UTC with STS-79. Last update on January 03, 2019.